Our new “Services” and “Support” sections are live and fully functional. The “Services” section of UrbanAreas.net is mainly for the premium business services that we provide. It covers our Android app design and website design services. The “Support” section is an efficient way for members and/or individuals that utilize our business services to obtain and manage their support tickets and inquiries. Below is a detailed breakdown of each section. Web Page (Free Service) – Create a page on this site to promote your business, location, products and services. Your organization will be listed in the Places section of our website. This is where our members and visitors go to find local businesses, places to visit, coupons, etc. Click here to add your organization to this website. Mobile App Development (Premium Service) – Get a professionally designed Android app for your organization, event, etc. for only $99. 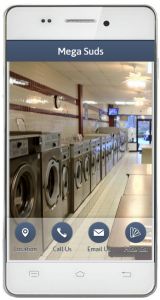 Your app will be able to display your products/service, location, videos and audio, social networks, and much more! In addition your Android app can be in the Google Play Store so your customers will easily be able to download the app to their mobile phones and/or tablets. Website Design (Premium Service) – We design clean, feature rich websites. Our services team will setup and maintain your website while you focus on your core business. Our design offerings are eloquent and most importantly mobile friendly. A powerful and easy to use support system that our members and organizations and use to obtain support on our website. Upon having an issue or inquiry with our website, you can simply open a Ticket and our team will reply accordingly. The system is clean and mobile friendly. In addition, it provides all of the expected features – file uploading, message status, notifications, etc.